What does mission look like in turbulent times? We live in a period of great turbulence. Such turbulence is characterised in part by mass migrations as a response to war, to persecution, to tensions within and between faiths, to shocking economic disparity and to climate chaos. Such migrations have in turn fuelled increasing urbanisation producing ‘a planet of slums’ (see Barker / de Beer’s chapter in Missional Conversations) leaving many of the most vulnerable ‘living on the edge of human consciousness’ (see Roche’s chapter). A sense of such turbulence is, of course, only unusual for those of us who happen to have lived in relatively peaceful times and places. Turbulence has always been around, a common human experience. It just so happens, for many of us, to be a growing fact of life in our current contexts. Mission in the way of Jesus the Christ always happens in context. Turbulence calls for mission to embody particular characteristics and expressions that will keep us grounded and hopeful. Whilst holding to the core nature of faith, such mission must always be shaped by and for the times. The conversations in this Missional Conversations open up some of the many imaginative ways in which such mission is happening now. Mission rooted in the gift of community. Mission enabling new forms of church to emerge, accessible to people with little or no previous church story. 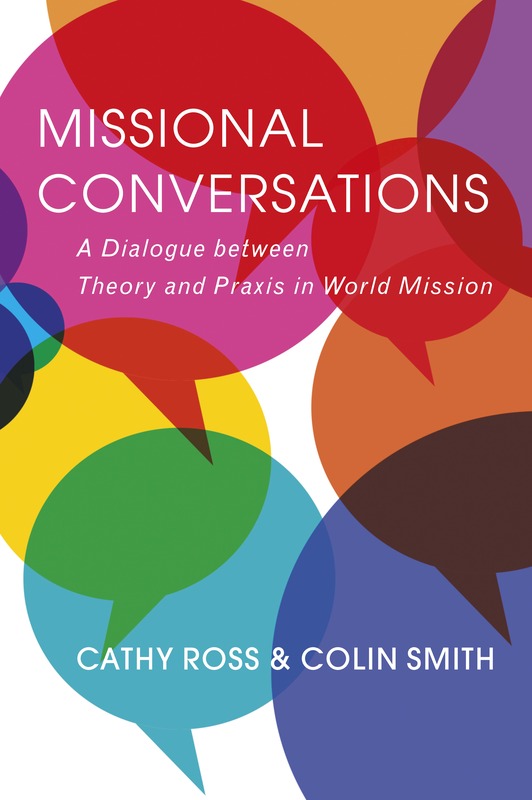 Mission characterised by innovation producing ‘social liturgy – the practice of public commitment to the other that is explicitly rooted in and shaped by love of God’ (Bickley’s chapter). Mission shaped through creative imagination as ‘a posture or a way of being in the world’ (Baker’s chapter). Mission of local character, shaped by and for specific context, and offering particular learning from mission movements of the South. All with a desire to see a ‘journey from no-body to some-body towards a renewed humanity for every-body‘ (Groody’s chapter). To be sustained for life and mission in a turbulent world we need to nurture a particularly resilient form of spiritual life. In this epilogue I will suggest that if the way of Jesus the Christ is to be shared in our demanding and fast-evolving contexts then such a spiritual life needs to be one of attention and presence, of love and devotion. I will suggest that such a mission spirituality does not just happen, but needs to be engaged as a life of practice that enables us in some way to become what we seek. And that life and mission must not – and actually cannot – become separated. In the language of the great missionary Saint Paul this is the way of faith through the practice of trust in the goodness of God, of hope through discerning longer, wider, deeper patterns at work, and of love, the greatest of these – the beginning and ending of it all. A mission spirituality for our turbulent times will invite us to imagine such great themes, and to find ways to access them on a daily basis, enabling them to take shape within us, that we might become some small gift to the world in the name of Jesus. This kind of practice takes practice. But it is important to remember that the practice is not the thing! The thing is always what the practice reveals. Practice will be demanding. It will also increasingly feel natural. Think of this as a falling as much as an ascent. A falling into the love of God. A kind of home-coming. A gift to us, and a gift to the world around us. Ian Adams is a poet, writer, photographer and retreat leader. He is Mission Spirituality Adviser to Church Mission Society, and a Fresh Expressions Associate. He is the creator of the daily Morning Bell on social media, partner in the Beloved Life project and co-director of StillPoint.